Vampires are not just the stuff of folklore and fiction. 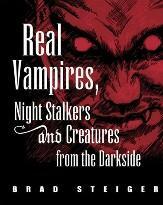 This book explores the modern world of vampirism in all its variety. 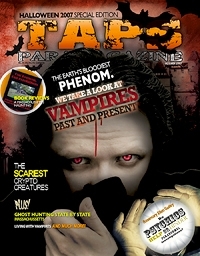 Based upon extensive interviews with members of the Atlanta Vampire Alliance and others within vampire communities throughout the United States, Vampires Today looks at the many expressions of vampirism: "lifestyle vampires," those who adopt a culture and a gothic ascetic associated with the vampires of art and legend; "real vampires," those who believe they must actually consume blood and/or psychic energy for their well being; or others who self-identify in some way as vampires. 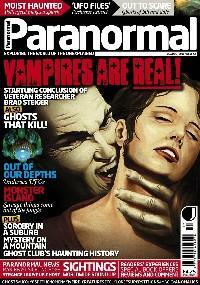 Is vampirism a religion? Is it a fantasy? Is it a medical condition? Is it a little bit of each? Throughout the world, untold numbers of people are self-identifying as "vampires" and following the ways of "vampirism." Over the years, but particularly in the past decade or so, vampirism has come under increased study, yet most scholarship has portrayed the vampire community at best as a cultural phenomenon and at worst as a religious cult. In this book, author Laycock explores the modern world of vampirism in all its variety. Having interviewed many vampires across the country, both "lifestylers" and "real," even those "reluctants" who try not to be vampires, he argues that today's vampires are best understood as an identity group and that vampirism has caused a profound change in how individuals choose to define themselves. As vampires come "out of the closet," either as followers of a "religion" or "lifestyle" or as people biologically distinct from other humans, their confrontation with mainstream society will raise questions about the definition of "normal" and what it means to be human. In this book the reader will meet "lifestyle" vampires, who adopt a culture and a gothic ascetic associated with the vampires of art and legend; and "real" vampires, who believe that they must actually consume blood and/or psychic energy for their well being. The reader will hear from members of the Atlanta Vampire Alliance and will learn about the Order of the Vampyre, the Ordo Strigoi Vii, and the Temple of the Vampire. Even before Dracula and Bella Lugosi, people have been fascinated with vampires, and this interest has continued, through Buffy the Vampire Slayer and Anne Rice's Interview with the Vampire and other novels, to HBO's new series True Blood and the recent big-screen hit Twilight. Readers will find the details of real vampire life--including vampire role-playing games, grimoires, "vampyre" balls, vampire houses like House Sahjaza and House Kheperu, the vampire "caste" system, and other details--utterly fascinating.